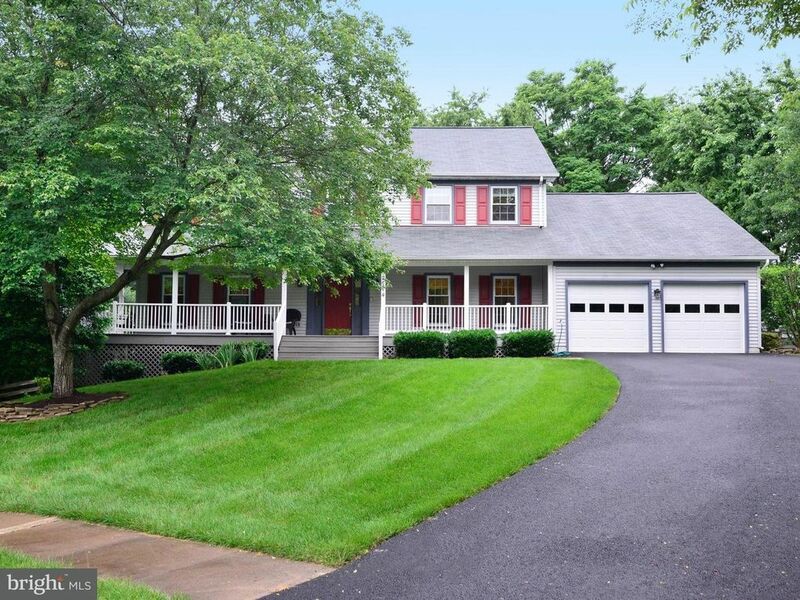 Beautifully-updated colonial on a quiet cul-de-sac on 1/3 acre! 4 BRs, 3 1/2 BAs & 3 fin. levels w/walk-up LL. New front walkway leads to covered wrap-around porch. Table-sp. kit. remodeled ('13) w/granite, backsplash, 42" cabinets, recessed lights. Remodeled MBA & UL BA ('18). Hardwds in foyer, LR & DR. New HVAC ('17). New roof, all new windows & gutters ('11). 2 gas FPs. LL w/Rec.Rm w/wet bar.